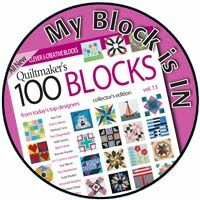 I felt silly writing the title for this post because I still have last week's blocks to do to be up to date with the 150 Canadian Women blocks! 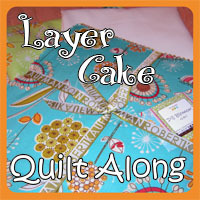 A new group of 3 will be released on Tuesday by Next Step Quilt Designs - motivation to write this post and get quilting! 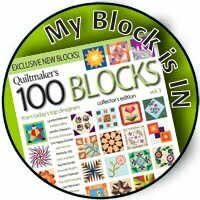 When the blocks get listed the first thing I do is download the files to save them. 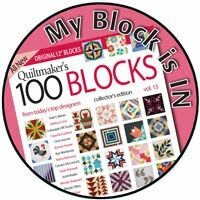 I take the time to read the great historical information included about each woman a block is named for, keeping in mind my fabrics in case there is a motif on the fabric that would suit telling a particular woman's story. Sometimes that's all I get done! 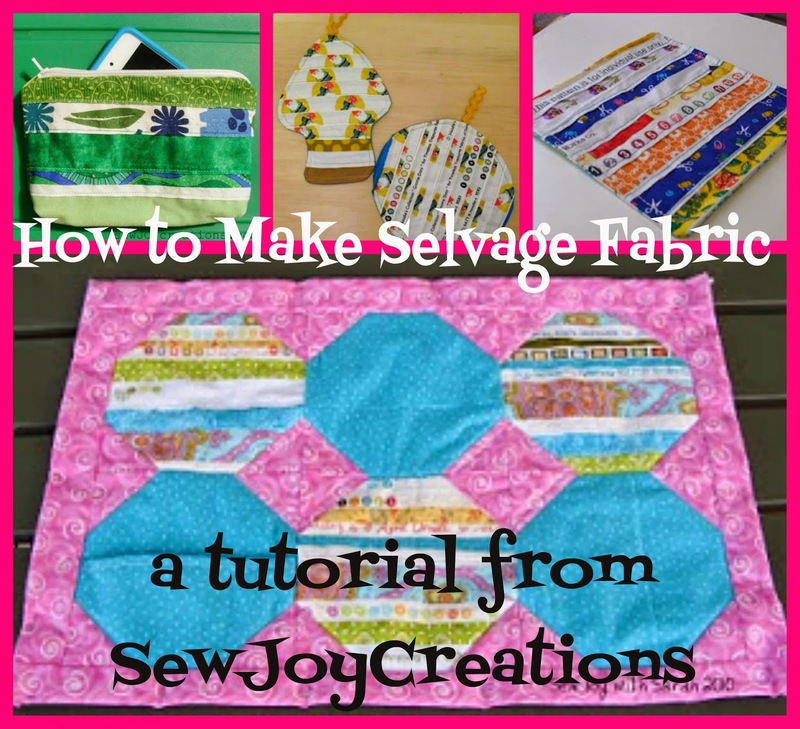 If I have more time, I go to my fabrics. I am growing a small collection of reds and whites. I keep them in a clear box with a lid - it's about the size of a shoe box. 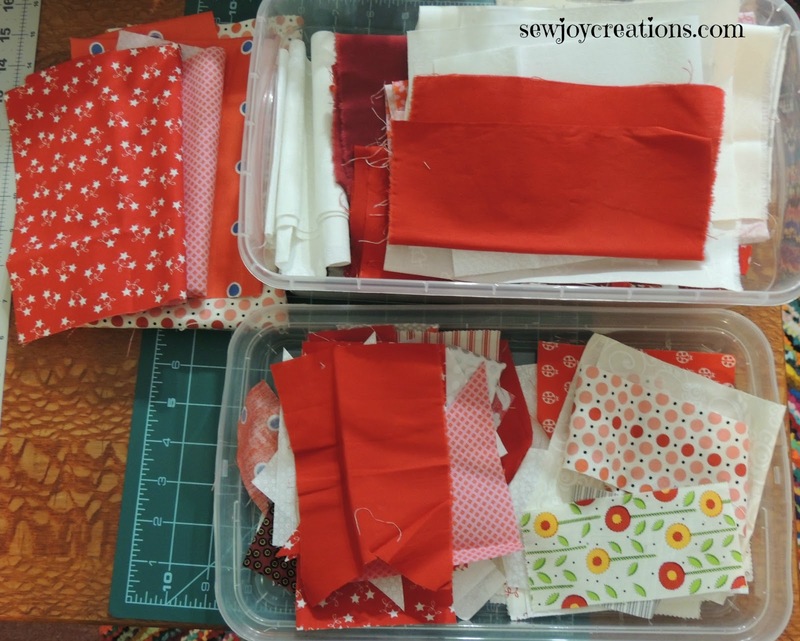 At this point, because I have made over 30 blocks, I have some small bits of fabrics that I keep laid out in the lid of the box. When I put the fabrics away for the week I place the box on top of the lid and then tuck it into it's spot on the shelf. Inside the shoe box is semi-organized with reds on top followed by whites. I have a large piece of red that I think I'm saving to use with some 12 inch blocks that I plan to incorporate into the quilt top. I'll show you my first one later in this post! 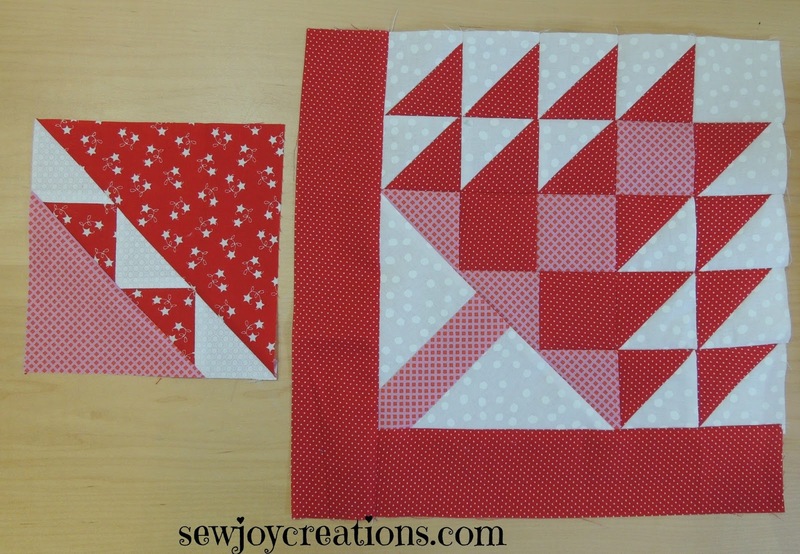 My next step is to cut the fabrics for all three blocks before I start sewing any of them together. 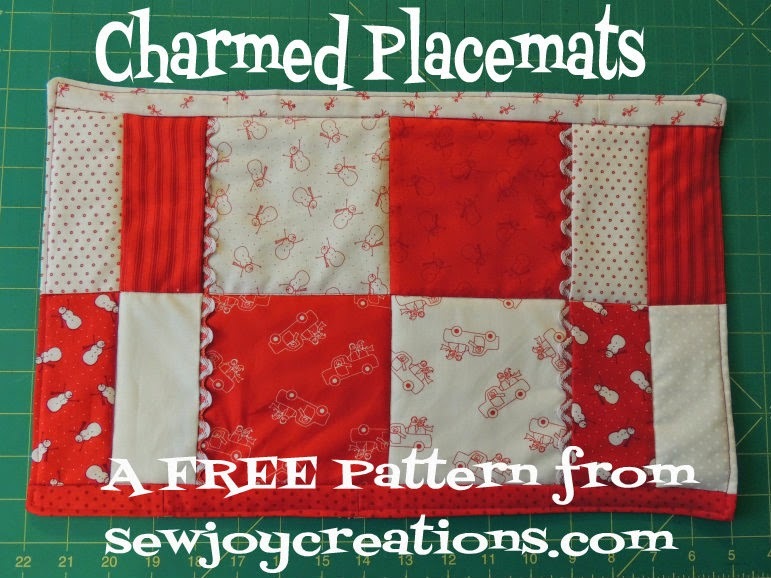 I'm lucky to have a long sewing table with room to the right of the machine for leaving pieces out - even overnight. My cats don't jump up here like they do on my cutting table (!) so I know the pieces will still be in the right place when I sit down to sew. 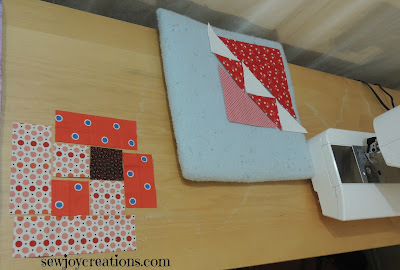 I also use a little flannel design board that I inherited from my husband's granny to move pieces from my cutting table to sewing table. Leaving one block on here gives me more room on the table too - I can place the board on my ironing board if I need to. 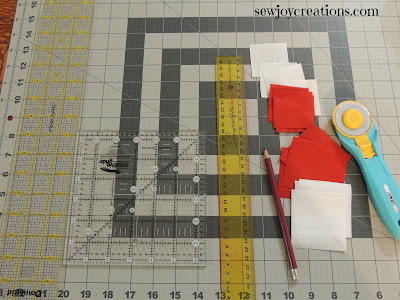 I have several different rulers I use to cut and prepare my block pieces. The longer 18 inch ruler for making initial cuts of fabrics off of larger pieces. 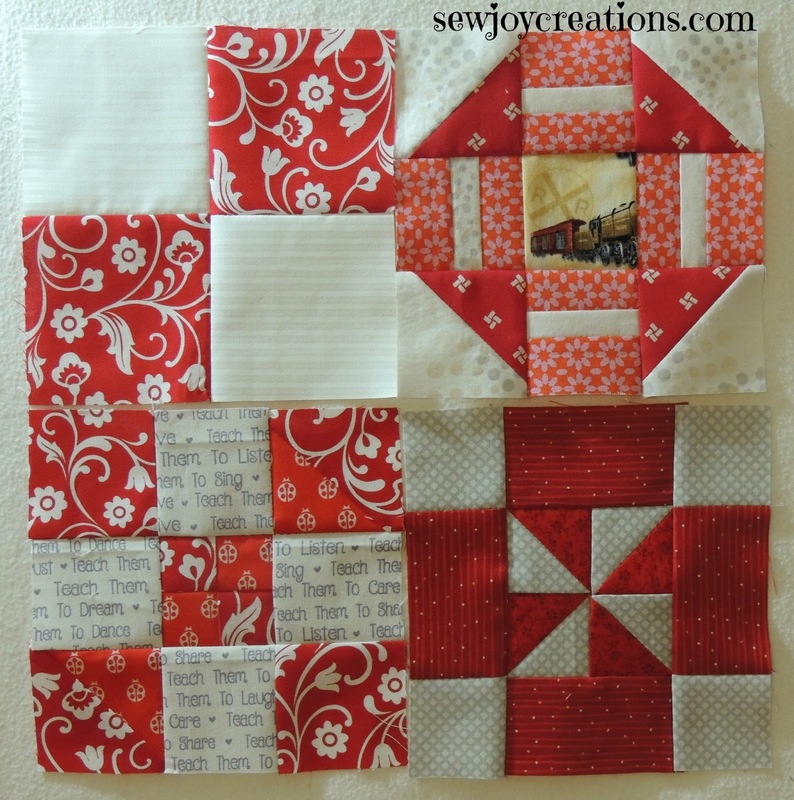 The 6 1/2" square ruler has great increments printed on it for cutting the smaller pieces used in these blocks. I like that I can turn it one way to square up for 2 1/2" then turn to a different corner to square up to a whole number - like 2, which is a popular square size in these blocks. The yellow ruler you can see in the photo is used for its straight edge to draw diagonal lines on the back of squares when making hsts. I use a red dressmaker pencil also inherited from my husband's granny! I match up the hst pieces and bring them over to the sewing table with the rest of the pieces in the block laid out for assembly. Once all the pieces are cut then I start sewing the blocks. 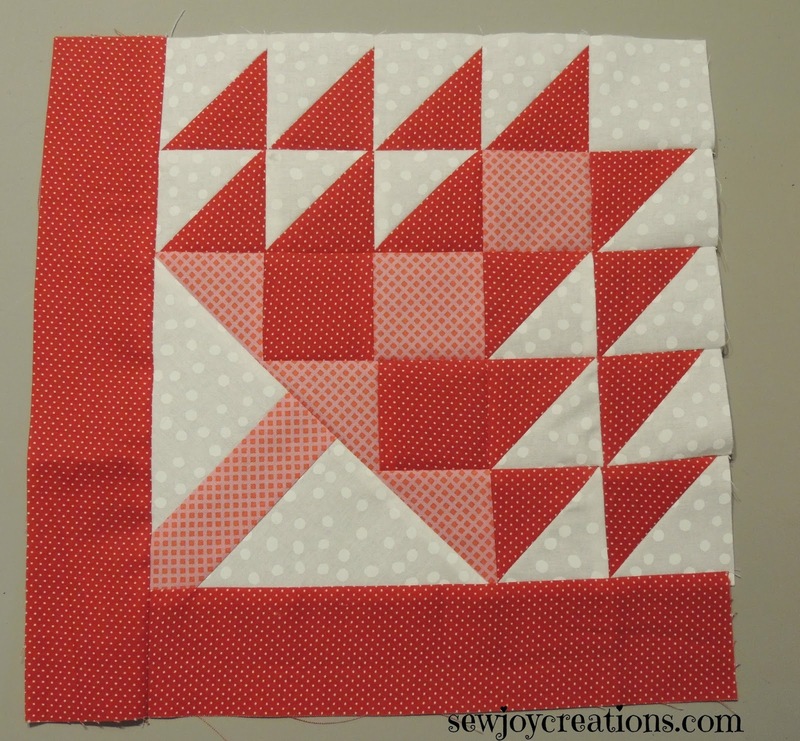 I usually do one at a time, but sometimes I make any hsts needed for the blocks at the beginning. Then I trim them and lay out the pieces for all 3 blocks and start with the first block. 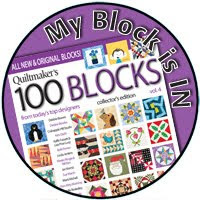 Two weeks ago when I went to my local quilt shop I was lucky enough to get a copy of the stores 12" block for Northcott's Trans-Canada Block Party. 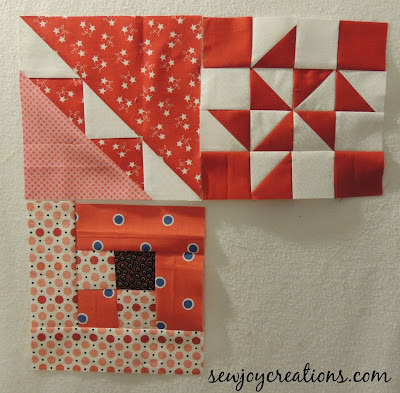 I'm in love with it and trying really hard to resist making a whole quilt of this beautiful block! I thought it was pretty neat that I had just tackled the same triangle construction in block 37 that's also in this tree block. These are last week's blocks done. After a week of looking at them I notice a mistake in the one on the top right. It might just stay that way! 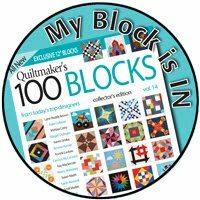 I'll do the first block for this week and see. 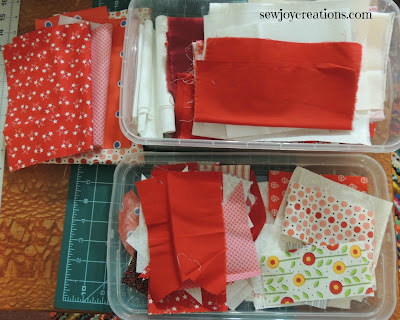 I hope seeing how I organized my time and fabrics helps you in keeping up with a project you enjoy! That's a great way to keep organized with an on-going project like the !50 Canadian Women. I love your tree block too! It would make a great quilt.